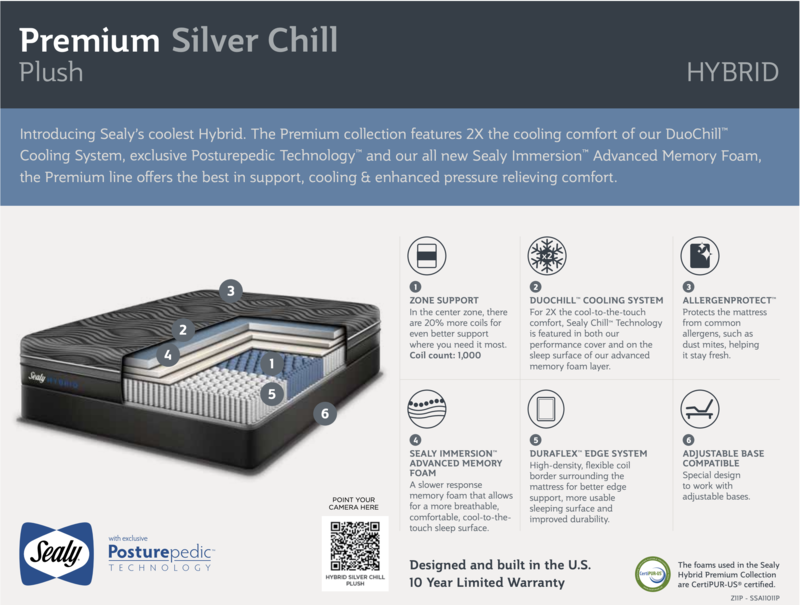 Hybrid Mattress: Best of both worlds, foam and coil technologies. PosturePedic Technology: Exclusive to Sealy, support where you need it most. Warranty: 10 years, see warranty booklet for full details.